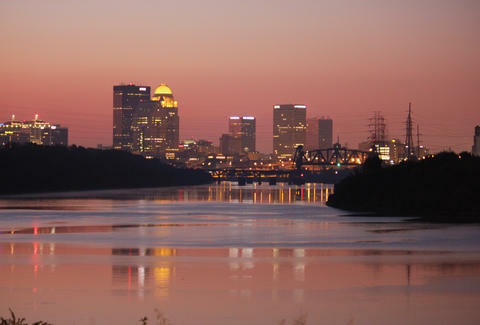 If you're in Louisville this weekend, it's probably strictly to wear seersucker and ponder how women wear hats that are so big. But because you'll eventually have to find Bluegrass State-bred food and drink (read: bourbon) while you're in town, we talked to Robin Garr, the writer behind Louisville Hot Bytes, and Dana McMahan, Louisville-based food and travel writer, to see where you should grab that mint julep and Hot Brown when you aren't rooting on (INSERT HILARIOUSLY NAMED HORSE) at the Derby. 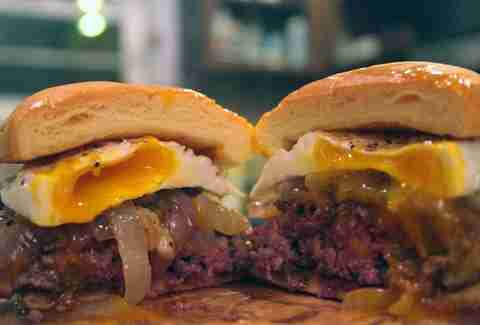 The two-year-old food truck has a simple burger whose awesome flavor comes from local, biodynamic beef. "My first bite converted me from a burger-hater to a groupie," says McMahan. "I'll go anywhere in town for their B&B." 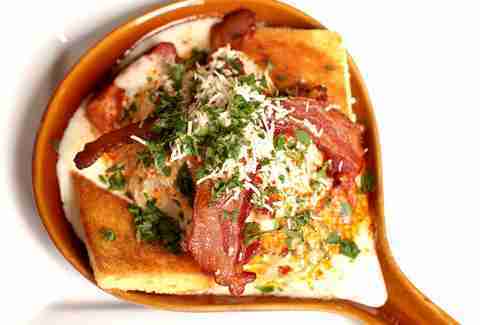 That hefty option features two slabs of brie, thick-cut bacon, and habanero jam to cover the creamy-smoky-spicy flavor palate for an impressive bite. Thankfully, the couple behind this burger truck just signed a lease for a brick-and-mortar location so it’ll be even easier to track down a Grind in late Spring. Louisville’s iconic sandwich had its cheesy, glorious birth back in the ‘20s at The Brown Hotel, and, while it’s prevalent throughout the city, Garr points out that “there’s no reason not to go back to the original… After all, it bears the hotel’s name!” Chef Fred K. Schmidt created the open-face turkey-and-bacon sandwich that’s smothered in a hefty layer of Mornay sauce as a midnight snack for hotel patrons, proving over-served flappers were just like us and also loved cheese-covered, greasy foods. Thank goodness. Perched inside a former firehouse, the redbrick Kentucky whiskey temple merges fine food, old-school country records, and craft cocktails. Susie Hoyt, who spent time at Chicago's cocktail haven The Violet Hour and also mixes sweet Tiki drinks at Silver Dollar's sister spot, El Camino (one of the 33 best new bars in America! ), is the badass beverage director at this classy honky-tonk. 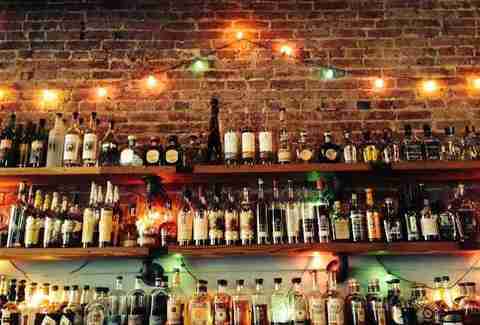 She lays out a six-page spirit menu laden with (obviously) a huge list of bourbons, which are sorted by distillery, plus moonshine, rye, and seasoned bourbon -- all from the Bluegrass State. The Silver Dollar’s Four Roses Single Barrel and demerara sugar mint julep is a testament to how perfect this simple cocktail can be, and it shows off the place’s fine bourbon selection. Don’t be mistaken: There’s absolutely no grill inside the Mag Bar -- but you’re not there for the food anyway. Located within Old Louisville -- a historic preservation area comprised almost solidly of impressive Victorian architecture, the dimly lit dive has the requisite pool tables, a pinball machine, and a loaded punk-heavy jukebox. 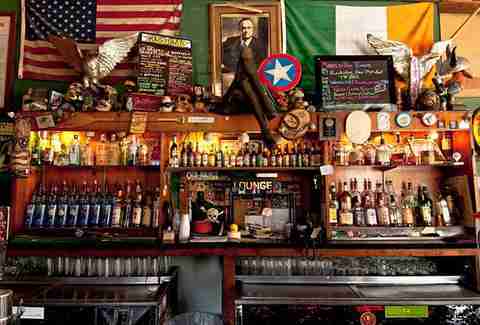 Heavy-handed and friendly bartenders make already cheap pints and pours even better. For even cheaper drinks, swing by for specials during Wednesday’s EDM Dance Party -- where you'll also see plenty of girls dancing on the rickety tables -- or Sunday’s Bingo night. 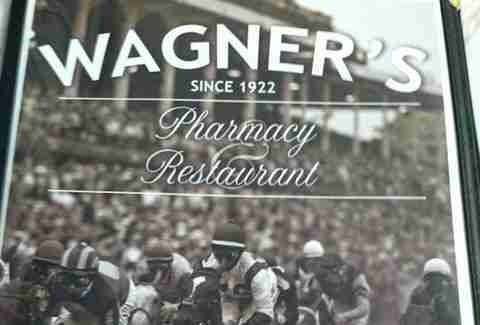 "For a serious, old-style Derby-time experience, breaking your fast side-by-side with Churchill Downs trainers, track workers, and savvy players, it has to be Wagner’s Cafe," Garr recommends. Located just outside Churchill Downs, the pharmacy/general store opened in 1922 and branched into a cafe to gain the business and friendship of the racetrack workers and horse trainers. You’ll get plenty of history with your huge and cheap breakfast plate (go for sausage & eggs with biscuits and potatoes), and you might also overhear a tip before placing your bet for the day. The men's shop turns 100 this year and the ol' centenarian is still the best place to trade in your hipster duds for Derby-appropriate attire. 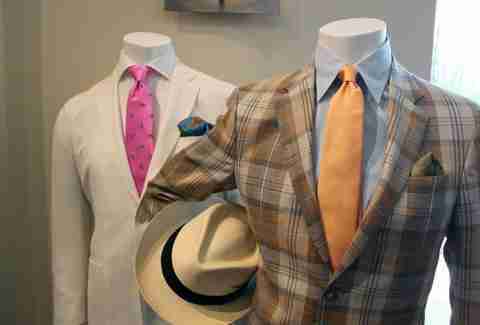 The clothier has seersucker and linen suits for days, plus all the brightly colored ties you need to fit in with Rick Pitino's friends. And while only the ladies get the awesomely huge hats -- they have those here too -- if you're feeling jealous, you can also snag a Panama.